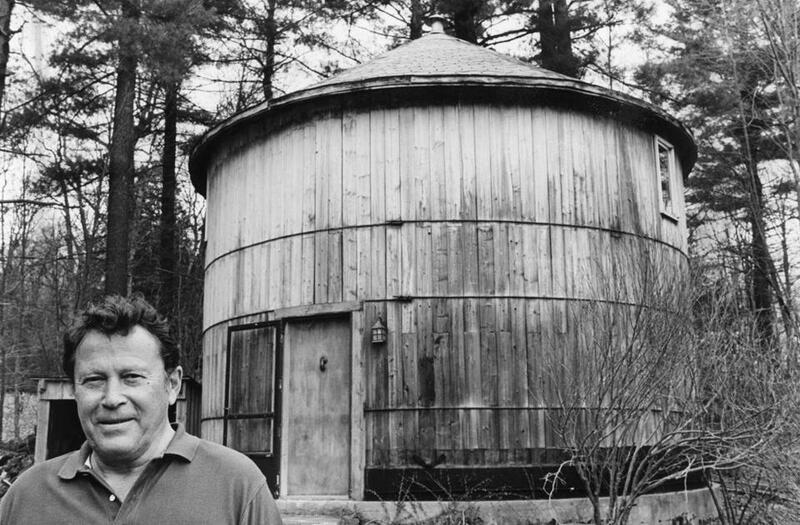 Richard Wilbur converted a silo into his studio in Cummington. Richard Wilbur, a former poet laureate of the United States whose elegant verse earned him two Pulitzer Prizes and whose dexterous renderings of the plays of Moliere and Racine set a benchmark for theatrical translation in English, died Saturday night at a Belmont nursing home. He was 96. He had long lived in Cummington. Mr. Wilbur held an anomalous place among American poets. Few contemporaries earned more honors. In addition to the Pulitzers, he also won a National Book Award, the MacDowell Medal, a National Medal of the Arts, and a Bollingen Prize each for poetry and translation. Named the nation’s second poet laureate, Mr. Wilbur succeeded Robert Penn Warren and served in 1987 and 1988. He also served as chancellor of the American Academy of Poets and both president and chancellor of the American Academy of Arts and Letters. Nonetheless, few contemporaries shared Mr. Wilbur’s poetic preoccupations. In an era when verse was seen as increasingly personal in content, turbulent in emotion, and uninterested in poetic form, he wrote poems notable for detachment, reflection, and formal rigor. In Mr. Wilbur’s poems, the pearly verbal acrobatics of a Wallace Stevens overlay the gnarly truths and tight, outer-directed scrutiny of a Robert Frost. (Mr. Wilbur and Frost became friends during the late ‘40s, when he was a graduate student at Harvard and Frost taught there.) Certainly, in the poet Joseph Brodsky’s description of Mr. Wilbur’s poems as “masks holding in check deep emotion,” one recognizes a real kinship with Frost. Mr. Wilbur’s poetry cherishes “the splendor of mere being,” to quote his poem “For Dudley.” The use of “mere” suggests his lack of interest in great effects, large passions, anything verging on the sublime. His poem “The Beacon” expresses the view that “a sighted ship/Assembles all the sea.” Mr. Wilbur felt most at ease within sight of land. His passion for nature is evident throughout his poetry, but it is nature as known to a gardener (Mr. Wilbur was, in fact, devoted to gardening) rather than an explorer or mystic. Mr. Wilbur’s reliance on meter and rhyme further demonstrated an innate conservatism. “The strength of a genie comes of his being confined in a bottle,” he once said. He demonstrated a literary bent early on, sending a poem to a children’s magazine when he was 8. Its acceptance earned him $1. At Amherst College, Mr. Wilbur majored in English and edited the student newspaper. He spent two summers hitchhiking and riding the rails through 46 states. He also met a student at Smith College, Mary Charlotte Ward. Mr. Wilbur would often make the nine-mile walk to Northampton to see her. They were married shortly after his graduation, in 1942. Mr. Wilbur had planned to become a journalist. Instead, taking advantage of the GI Bill, he went to Harvard University to get a master’s degree. A friend sent a selection of his poems to a publisher, which led to his first book, “The Beautiful Changes” (1947). Mr. Wilbur received Harvard’s highest honor for a graduate student, membership in its Society of Fellows, and served as a teaching assistant to the celebrated literary critics F.O. Matthiessen and I.A. Richards. It was another celebrated Harvard literary critic, Harry Levin, who indirectly made Mr. Wilbur a translator. Levin urged him to go to Paris. Spending four nights a week for three months going to the Comedie Francaise, he fell under the spell of Moliere. In addition to poetry and translation, Mr. Wilbur had an academic career, teaching at Harvard, Wellesley, Wesleyan, and Smith. At Wesleyan, he helped initiate what would become a distinguished tradition of publishing poetry by the Wesleyan University Press. Among Mr. Wilbur’s other books are “Ceremony and Other Poems” (1950), “Advice to a Prophet and Other Poems” (1961), “Walking to Sleep” (1969), “The Mind-Reader” (1976), “New and Collected Poems” (1988), for which he won his second Pulitzer, and ‘Collected Poems 1943-2004” (2004); several volumes of verse for children; and two volumes of prose. He also edited several anthologies. Among his translations are Moliere’s “Tartuffe” (1963), “School for Wives” (1971), “The Learned Ladies” (1978), “School for Husbands” (1992), “The Imaginary Cuckold” (1993), “Amphitryon” (1995), “Don Juan” (1998), “The Bungler” (2000); and Racine’s “Andromache” (1982), “Phaedra” (1986), and “The Suitors” (2001). Mr. Wilbur said much the same thing about producing verse. “I enjoy, though I also find it agonizing, the sheer puzzle-solving aspect of writing a poem,” he told The Christian Science Monitor in 1975. His wife died in 2007. Mr. Wilbur leaves a daughter, Ellen, of Cambridge; three sons, Christopher of Arlington, Nathan of Newburyport and Aaron of Wakefield; three grandchildren and two great-grandchildren. Globe correspondent Jeremy Fox contributed to this obituary. Mark Feeney can be reached at mfeeney@globe.com.